Here's tips to get YouTube subscribers for increasing subscriptions on your YouTube videos. YouTube is absolutely an amazing platform to show us genius on videos. Take advantage of YouTube, some creative publishers become celebrities and get massive subscribers on their YouTube channels. If you are still nobody and want to become well-known on YouTube, you should learn how to increase YouTube subscribers primarily. This article will introduce several basically and efficiently ways to help you get YouTube subscribers. How to Free Download any YouTube Videos? WinX YouTube Downloader - Free download various videos from YouTube and similar sites with ease. WinX HD Video Converter Deluxe - Download and convert YouTube videos to iPhone/iPad/Android at will. If you are troubled with how to get YouTube subscribers for making your amesome and magnificent videos be well-known, the following seven tips are probably helpful. Create specific channels to gather videos of one topic together. Video contents should be related to each channel subject. Otherwise, you subscribers will unfollow because you cannot show what they want. Upload videos to your channels consistently. A frequently updated channel is much more attractive than a lifeless channel. For example, you can upload game guides videos weekly for getting YouTube subscribers who are insterested in online games. You need some typically videos about current hot topics with remarkable contents, such as hilarious parody videos of hit songs (Taylor Swift's Blank Space, Meghan Trainor's All About That Bass etc.) to get YouTube subscribers. Those high quality video can garner viewers' attentions and arouse them to subscribe you. Get YouTube subscribers by advertising your channels on YouTube, Twitter, Instagram or other social networks. If you have a blog or website and have gotten certain amounts of traffics, you can add a YouTube subscription widget to lead visitors to subscribe your channel. Don't forget to ask for YouTube subscriptions by creating a "Call to Action" at the end of your videos. For instance: "Click subscribe button above this video to get funnies, stunning issues with my latest videos." Send messages to great YouTube publishers and ask for establishing partnerships. In exchange, their channels will be recommended by you as well. If they mark your channel as featured channels, you can get YouTube subscribers much more than no recommendation by others. If you received favorable comments or questions about video, it is better to give a response. Positive interaction can probably get more YouTube subscribers on your channel. It can attract more YouTube subscribers by hosting a giveaway. If you have no idea about how to plan it, you can take part in popular online events, for example, Digiarty's WinXDVD software Giveaway for YouTubers, and launch a contest with those giveaway products to get YouTube subscribers. Digiarty Software is a professional multimeida software supplier, aiming to offering fastest and most efficient solution to rip DVDs (even latest encrypted commerical DVDs), convert HD/SD videos in various formats and free download YouTube videos. In fact, video and movie lovers may be very interesting in WinXDVD software given away by Digiarty because those products can help them enjoy any splendid DVD movies and videos with portable devices anytime and anywhere. Everybody who owns a YouTube channel, twitter, facebook or website/blogs is welcomed to join WinXDVD exclusive giveaway and has the chance to win licensed copies. You can get more YouTube subscribers if you host a contest on YouTube with those copies. 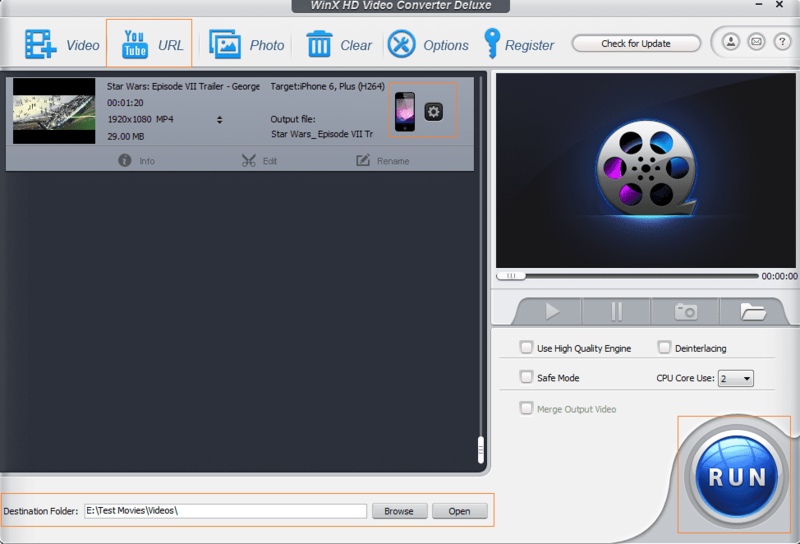 WinX HD Video Converter Deluxe – Convert SD/HD movies/videos to YouTube supported video formats, MP4/FLV/WebM etc, for uploading. In turn, it enables to download and convert any YouTube videos to AVI, MOV, WMV, MPEG, iPhone 6/6 Plus, iPad Air 2/Mini 3, Samsung Galaxy Note 4/Edge for playback.